To keep your baby safe and comfortable while on the go. But why is it that a certain stroller clocks in at a few hundred dollars while others demand a 4-figure price tag? If you’re confused, don’t fret. Many parents felt the same way – including yours truly. This guide will look at everything you need to know when shopping for strollers – from important features to look for, the different varieties of strollers and their uses, to our top picks for every category. Why Get A Stroller In The First Place? Constant physical contact with your baby for the first 6 months is highly recommended. Doing so develops your bond as parent and child. On the other hand, you simply cannot skip your responsibilities as an adult in the name of good parenting. You still have to buy groceries, go to the bank, settle your utility bills, and run all sorts of errands. With a baby stroller, you can do all of the things just mentioned while keeping your child safe and within reach. The latest strollers have a built-in canopy to protect your baby from harsh elements, while sturdy frame keeps the unit stable. If you want to have coffee with friends or go for a jog, you can’t do this with, say, a baby carrier — at least, not properly. Plus, you’re putting your child at risk of getting burned by a hot beverage or catching the shaken baby syndrome. During times when babies have trouble sleeping, going on quiet walks around the cul-de-sac will also help soothe and put them to sleep. Unless your baby is still light enough to wear in a carrier, a stroller is what you need. What Makes An Excellent Stroller? If you’re shopping for a stroller for the first time, the sheer amount of jargon and different features may leave you in a shock. This part of the guide cuts through all of the confusion. You only need to consider 8 essential features in your search for the perfect stroller for your child and your lifestyle. And we will look at each of them in this section. This harness system is an absolute must-have, and you wouldn’t want to compromise with anything that’s less secure. The 5-point system got its name because of the points where the harnesses connect to the stroller — 2 points at each shoulder, 2 points at the baby’s hips and 1 point between the baby’s legs. It’s the same system NASCAR racers use. Almost all modern strollers have a 5-point harness set-up due to the number of children who fell victims to avoidable injuries during accidents. If this feature can keep adults safe from injury during a major car crash, it can help your child stay safe and unscathed, too. The wheels on your stroller must be able to withstand the combined weight of your baby and all your additional gear. If you happen to get a model that has flimsy wheels, it will not be able to last long and that’s going to be money down the drain. A high-quality stroller with robust wheels will be able to absorb shock from bumpy terrain or when you’re jogging with your baby, leaving little room for discomfort. Brakes come in handy when you’re walking up or downhill with your child. Go for a stroller with an easy-to-locate and easy-to-lock-in-place brake system, keeping your child in place when you need to catch a breather or do something else for a bit. An easy folding mechanism lets to stow and transport your baby’s stroller whenever you don’t need it. You need to find a model that has a firm folding structure that constrains the cantilevers securely and moves them together in a controlled manner for ease and swiftness. You need something substantial enough to cover and protect your child from the weather. A canopy with a decent UV-rating does just that. You may also want to opt for models with adjustable canopies for top-off strolls in the park if the weather is nice. Newborn babies need a lot of stuff, from diaper bags to formula bottles. To keep your outings convenient, go for a stroller with ample storage space for all the gear your baby will need. This extra storage space will also come in handy when you have so much stuff to carry after a day of shopping at the local mall. Whether you or your partner is taking the baby out for the day, adjustable handlebars ensure you can push the stroller around with ease. Ergonomically designed baby strollers are always worth every penny since you will have the option to reverse the handlebars so your child faces you or the view in front. If you want to make the most out of your investment, buying a convertible stroller is the way to go. If you are a parent of one, you can use it as a single model. If you have two kids, adding an extra seat is a cinch. With a convertible stroller, you are given options for the price of one and you are guaranteed to get a lot of utility out of it. 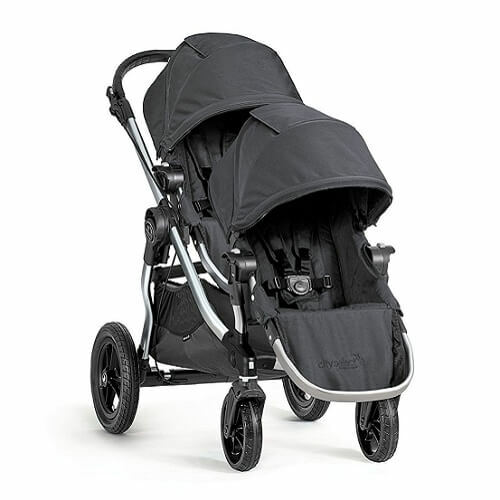 We’ve just looked at 8 must-have features for strollers. But different types of strollers have different uses. While two models may have all of the features above, their intended use may not be the same. A baby stroller is a major purchase. Picking the wrong one will not only waste hard-earned money but will also set you and your baby up for months of frustration and comfort. Here are important questions you need to answer to have a better idea of the type of stroller that best fits your needs. How many kids do I have? If you have twins, a double stroller is a fantastic choice. But note that a double stroller cannot give you the kind of options that a convertible stroller will, so you need to decide which of the two will work best for you and your child’s or children’s needs. How will I use the stroller? Your lifestyle also comes into play. If you are the active and hands-on type of parent, you will need a stroller model that lets you keep baby supplies within reach. If you like going on daily runs, jogging strollers are a great choice but only when your baby has fully developed neck balance capabilities. Do I want to change strollers as my child grows? Other parents may not mind. But for many, changing strollers in a few months or years can make a dent on their finances. If such is your case, a convertible model might be the best fit. These models have a higher upfront price, but you can use them in a number of combinations to suit your child as he or she grows. How much is my budget? Therein lies the rub — finances. Sure, you want to get the best for your precious child. But if something is beyond your means, then you need not worry as there are a myriad of other options in the market that’s just within your price range. Be sure to shop around, carefully eyeing the features and prices for comparison. After answering the questions above, you will have a better idea of what you need out of a stroller. And in the following sections, we will look at the different options available to you – from their features, PROs and CONs, and our top picks for every category. These strollers are bulkier and heavier than all the others. But they also have so much to offer. When choosing the perfect traditional stroller, you need to make sure that it has a reliable front-wheel brake mechanism, an easy folding system for hassle-free storage, a secure 5-point safety harness, an adjustable canopy, a robust bumper bar, and an adaptable reclining seat. A reversible and adjustable handle also helps with the steering. On the other hand, a tray and storage basket lets you carry more of the important stuff while on the go. Look for a stroller with a broader base to reduce the risk of tipping over should your child look out from the sides. The best traditional strollers can also last a long while, able to carry toddlers weighing up to 75 lbs. Hailed as an all-terrain model, the Bob Revolution PRO can double-duty as a jogging and a full-sized stroller. This stroller has an adjustable padded handlebar of up to 9 different positions, making it an excellent choice perfect for tall parents. The wheels are air-filled and made up of high-impact polymer. With a three-wheel configuration, you can swivel through paths with ease, while the reliable braking mechanism means stopping the stroller in motion is never a problem. If you like going on long walks or jogs with your family, or if your child is already too heavy to carry around in a carrier, the Bob Revolution PRO might be just what you need. Lightweight strollers weigh a measly 15 to 19 lbs, and they are perfect for babies 6 months and older. These strollers look a lot like their traditional counterparts. But once you take them out for a spin, telling them apart becomes easy. Today’s lightweight strollers have surpassed the basic umbrella models by leaps and bounds, offering more convenience but without the bulk. They are lightweight for the budget, too! If you’re looking for a lightweight stroller, pay attention especially to the size, weight, and wheel quality. Adjustable handles are fine features to have, too. And so is an easy folding mechanism and frame lock. You can make the most of a lightweight stroller if you buy a model that lets you attach car seats. 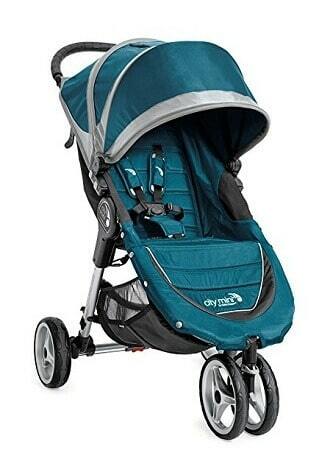 The Baby Jogger City Mini is a lightweight model that’s heavy in features. It comes with a UV 50+ canopy to make sure that your little one is protected from the harsh sunlight, while the folding weather cover keeps all the elements out. The seat can also recline to a nearly flat position for maximum comfort, while the 8″ EVA tire tread with lockable swivel front wheels and front wheel suspension guarantees a smooth ride. And as if those aren’t enough, the Baby Jogger City Mini can also turn into a travel system in a blink of an eye. 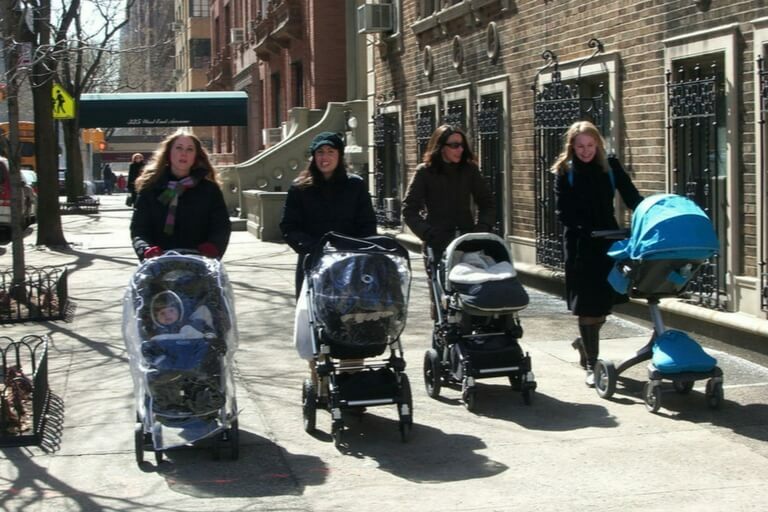 Most of the strollers in this list are made for babies 6 months old and beyond. But what if you want to take your days-old child to the park for a little sunlight and fresh air? The answer: get a newborn stroller. These types of strollers allow for a rear-facing position, so you keep an eye on your newborn at all times. The bassinet attachment, on the other hand, lets your newborn stay comfortable and warm even when exposed to the outside elements. They have built-in canopies to cover more than half of the stroller, protecting your beloved little one from the wind, ran and sun. The four-wheeled system also works better for newborns than a three-wheeled piece. The former provides better stability and safety – priority numero uno when handling days-old babies. While they can’t fully see everything, they can still be stimulated by what they do feel or hear, which makes a reversible seat a plus. While babies can’t see everything from their newborn strollers, they can find what they feel or hear stimulating. Another plus for models with reversible seats. First things first: the 4moms Origami Stroller is indeed more expensive than most newborn strollers, but it’s for a good reason. One of these reasons is that this is a high-end stroller with a power folding feature, meaning it can fold and unfold on its own with a touch of a button. The 4moms Origami Stroller is pricier than most newborn strollers, but the high price tag is warranted for a list of good reasons. First, this high-end stroller has a power folding feature, allowing you to fold and unfold the unit with a touch of a button. 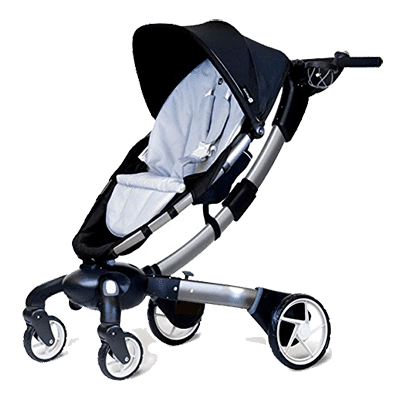 The 4moms Origami Stroller also comes with an LCD dashboard that comes with a speedometer, thermometer, trip and lifetime odometers and child presence safety sensors. Top that off with the must-have safety and comfort features, the 4moms Origami Stroller is clearly built not only to transport but also to help you look after your child. A travel system is a multi-piece set that makes car trips, buying groceries, and shopping at the mall a breeze. It minimizes the hassle of transferring your baby from the stroller to the car and back again. A travel system has three parts: an infant car seat, car seat base, and the stroller. The infant car seat doubles as a carrier and attaches to the stroller. The car seat base, on the other hand, fits and locks in place using either the base’s harness or the vehicles seat belt. And lastly, the stroller is the transporter (so to speak) where the car seat attaches to. The three-piece set-up allows smart parents to get a lot of utility with a single purchase. If you want to get the best value for your buck, the Chicco Bravo Trio is the is the travel system to choose. It gives you everything you need from a travel system at a reasonable price – from three unique modes, multiple reclining positions, to a reliable build quality and more. Oh! And it also has a one-hand folding mechanism. The Chicco Bravo Trio Travel System also comes with a removable seat and padding, making clean-ups a breeze. So if you and your child are frequent travelers, this travel system is your best companion. A travel system and a car seat-stroller combo are both designed for long trips and walks. But while they seem identical, they have vital differences. While a travel system is an all-in-one companion, a car seat–stroller combo is simply a frame to which you attach the car seat. And you need to buy the car seat and frame separately. So why get a car seat–stroller combo when a travel system has everything you need? For starters, the former is flexible. They’re also more space efficient, weighs less, and more wallet-friendly than their all-in-one cousins. Most car seat–stroller combos can also accommodate babies up to 30 lbs in weight. If you already have a car seat, getting only the frame makes a lot of sense. Just make sure the frame is compatible with your seat. 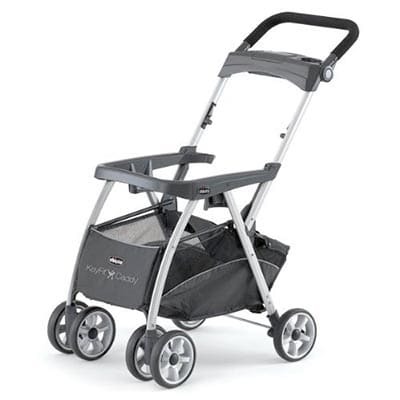 The Chicco KeyFit Caddy packs a durable contoured aluminum frame. And the best part? It folds with ease using one hand! Know that the stroller stands on its own when folded, saving you a lot of space. The Chicco KeyFit Caddy also comes with a handlebar that you can adjust to four different positions, suitable for tall (and shorter) parents. As a starter stroller for first-time parents, this choice will not let you down. And with all these useful features partnered with a budget-friendly price tag, this Chicco stroller is hard to pass up. Double strollers can accommodate two kids – or more depending on the model and available add-ons. 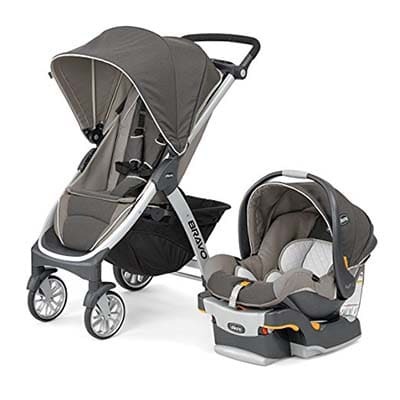 If you’re shopping for one, know that double strollers come in three varieties — side-by-side, inline and convertible. Each has its advantages, but convertibles are the most flexible of the bunch. You need to consider a handful of things when looking for double strollers, including a storage basket, reliable front wheel brake, robust tires, and all of the other must-haves we looked at earlier in this guide. Niceties like bag hooks, cup or bottle holders, and child trays can also make trips with your kids a whole lot easier to manage. 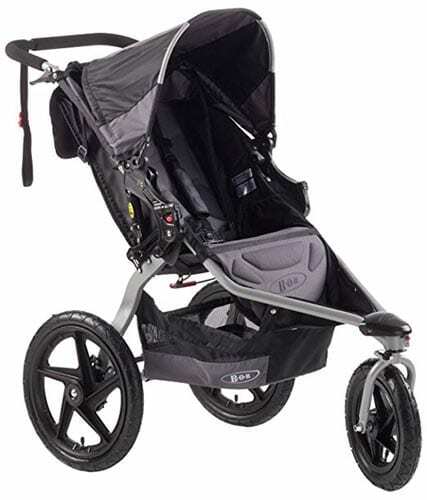 Our top choice for this category is an inline and convertible stroller. Perhaps the best part about the Baby Jogger 2016 City Select Double Stroller is that you can adjust your purchase depending on your budget. Is your budget tight? No worries! You can get the single seat model and get an extra seat when you have the case for it. The Baby Jogger 2016 City Select Double Stroller has 16 different combinations using conversion kits and infant seats (each sold separately). You’re bound to find the set-up that best suits your needs. And with an adjustable handlebar, exceptional hand-operated parking brake, multiple recline positions and built-in leg rest, you’re sure to get your money’s worth. Parents with an active lifestyle can rest assured knowing they can break a sweat while keeping their little ones close and safe. You can brisk-walk, job, or stroll while the baby stays in a jogging stroller. Jogging strollers don a lightweight frame and three-wheel bicycle set-up, making it easy to maneuver whatever the terrain. These strollers are not only a cinch to use and steer but are also built for safety. 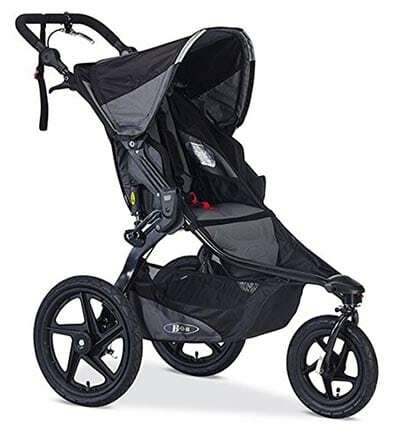 The best jogging strollers come with shock absorbers, a five-point harness, and three large and air-filled wheels to make every outdoor excursion as safe and as smooth as it possibly can. The Bob Revolution SE definitely takes the cake in this category. With a swiveling front wheel and two large rear tires, this stroller guarantees a comfortable ride for your child and a hassle-free steering for you. For added security, the Bob Revolution SE also comes with a tether strap to keep you connected to the handlebars. You can step up the speed in your job and not be afraid of losing grip of your baby. It also comes with a separate car seat adapter, so you can turn the jogger into a travel system! I hope that, in reading this guide, you now have a better idea of what to look for when you shop for a baby stroller. But if you want to learn more about other highly reputable models and brands available, our stroller reviews can help you with your search.